Let's meet OWI's new Mini Solar Robot and science kits. These frolicking fancies are easy to assemble and demonstrate altenative energy principles. They are understandabbly simple, friendly, and will put a smile on any child eight years and older. 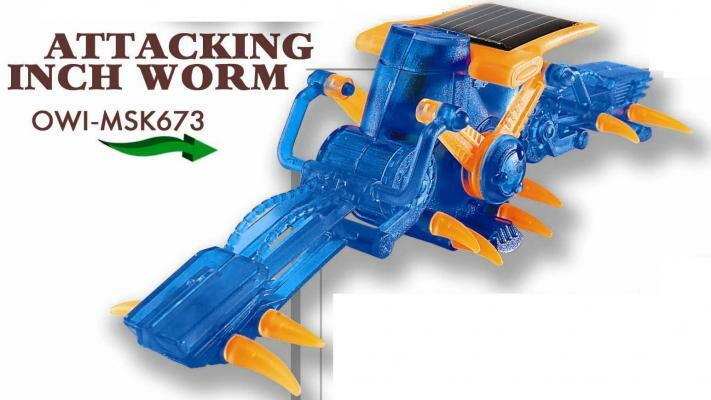 Attacking Inch Worm fit nicely into OWI's Junior Science Series. Besides having jovial names, they have become our premier entry level product.